Exciting NON-RESTAURANT Retail Coming to 14th Street! 14th Street NW has basically become DC’s Restaurant Row, thanks to the explosion of restaurant openings along that corridor. And while I love me a good restaurant opening, I really believe that sustainable growth in a neighborhood requires the right mix of retail, residences, and restaurants. So I’m thrilled about the non-restaurant retail and office space that is currently under construction at 1728-1734 14th Street! 1728 will be a four-story building. The top two floors will be office space occupied by Bonstra Haresign Architects and Sweetgreen Corporate. And the lower two floors? None other than West Elm furniture & decor! I was pretty bummed when the Metro Center West Elm was transformed into a Forever 21, so am really happy that it is coming back to the city in such a great location! 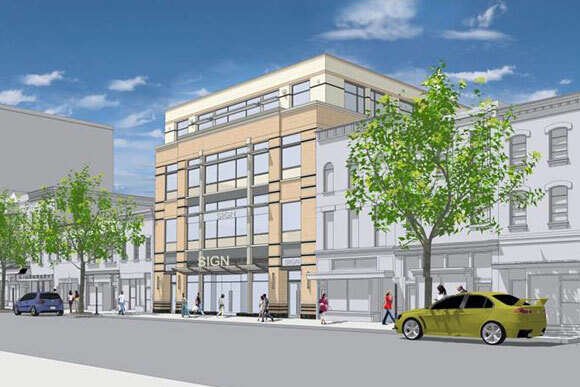 The townhouses that comprise 1734 (they are grayed out in the rendering above) will be the new-and-improved home of Logan Hardware (currently located on P Street near the Whole Foods), housing both the newly-expanded store and Logan Hardware’s corporate offices. The goal is for the building’s tenants to be open for business this September. Time to start shoring up the redecoration budget!